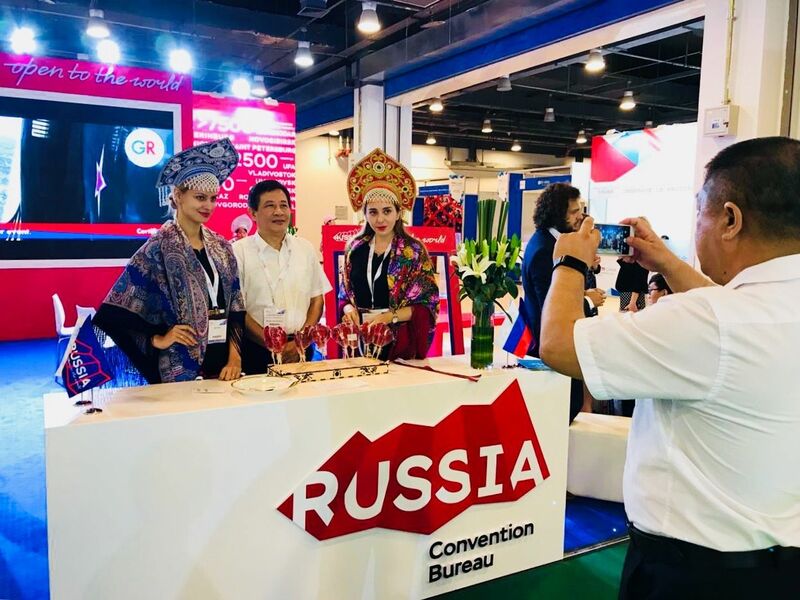 On September 12-13, 2018 at the largest international event industry exhibition that caters to the Asian market held in Beijing, the Russian Convention Bureau presented the Russian exhibit entitled “Russia Open to the World.” For Russia, this was the first experience of introducing event capabilities of the country at a major industry venue in one of the countries of Pacific Asia. The goal of the Russian exhibit is to present Russia and its constituent regions as a promising destination for major international conventions, to demonstrate its industrial and infrastructural capabilities with the goal of attracting participants of the event industry on the market of Asia. One of the main points made at the exhibition is that Russia has developed event infrastructure not only in the European part of the country but in Eastern regions as well. For instance the constituent regions of the Far Eastern Federal District are of interest not only because of the natural and ethnographic heritage; these regions can also offer the necessary infrastructure and various capabilities to hold events and organize corporate tourism projects. At the same time, the Russian exhibit will also present other event industry companies from Russia that have collaborated with the RCB in the process of preparing the exhibit. These include regional convention bureaus, event organizers, congress venues and suppliers of other kinds of services for the event industry. A total of 10 companies, the RCB included, partnered in the project of creating the exhibit. The RCB has planned a busy business program at IBTM China; it includes presentations, working with buyers, and showcasing the best traditions of Russian hospitality and best national crafts to visitors at our stand. Previous articlePrepare to be challenged and inspired! Next articleThe 6th edition of MeetingPlanners Russia ready to start in Moscow!